It seems nothing is truly safe in the world. The internet, newspapers and our TV screens constantly bleat about street crime or the world falling apart. It’s not a pretty picture. Unfortunately, the financial technology world also has its problems and can’t be too complacent – all because the spectre of cybercrime casts a long shadow over the industry. With market infrastructures, such as central securities depositories (CSDs), payments clearers and financial institutions all under threat, intelligent solutions and ideas are thankfully on hand. This is where the Committee on Payments and Market Infrastructures (CPMI) and the Board of the International Organisation of Securities Commissions (Iosco) come in. In June this year they released a 32-page report, Guidance on cyber resilience for financial market infrastructures. 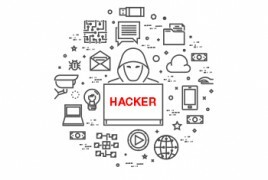 The report is the “first internationally agreed guidance on cybersecurity for the financial industry”, according to the CPMI and Iosco and has been developed “against the backdrop of a rising number of cyber attacks against the financial sector and in a context where attacks are becoming increasingly sophisticated”. Some recommendations include “governance is key” and the need to “instil a culture of cyber risk awareness”. When it comes to governance, the board’s and senior management’s attention is “critical” to a successful cyber resilience strategy; while for awareness, cyber resilience needs to be looked after at every level within an organisation. It’s good advice, but companies need to implement and adhere to it all. It would be remiss at a Swift event not to mention its attitude to the cybersecurity conundrum. Few would have missed the stories about Swift and the spate of thefts in which banks’ access to the SwiftNet FIN network was used to execute the crimes. These incidents included a $101 million cyber heist in Bangladesh – the biggest in history, Vietnam’s Tien Phong Bank stopping an attempted wire fraud and Ecuador’s Banco del Austro losing around $9 million. In August, eight US banks – Bank of America, Bank of New York Mellon, Citi, Goldman Sachs, JPMorgan Chase, Morgan Stanley, State Street and Wells Fargo – teamed up to fight cybercrime by initially agreeing to share information. The alliance will also make it possible for the banks to jointly prepare and conduct “war games” to test cybercrime fighting tactics. Jean-François Legault, managing director, global head of cybersecurity operations, JP Morgan Chase, is clear on the solutions that are required. The bank is “working closely with clients to provide enhanced education around cyber safety and payment controls through a combination of webinars, events and other channels”. This educational approach is at the core of what the bank does. JP Morgan Chase is “driving awareness around identifying, understanding and mitigating threats” and wants all its employees to be “well-educated on the subject of cybersecurity”. Christophe Clément, head of operational risk management and permanent control at Societe Generale Securities Services, (SGSS) says a risks control framework is necessary and mandatory and that a “security culture” is essential for banks. Shabirin Binhan, risk consultant at NetGuardians Asia, says the “advancement in technologies such as in the areas of artificial intelligence, big data and analytics have helped in availing new methods to mitigate and repudiate cyber attacks”. NetGuardians develops risk mitigation software. The challenge to overcome cybercrime has almost turned into an arms race, he adds. The technology must be better than the hackers’ ‘weapons’ and the action needs to be proactive, not reactive. Some solutions could involve internal controls based on pattern-based intelligence, user behaviour and predictive analytics combined with big data technology. These are then able to analyse seemingly uncorrelated actions in coherence and bring insights to detect anomalies or threats at an early stage. Everyone knows that no measures can be fool-proof or absolute in solving the scourge of cybercrime. But the answer may well require a ruthless streak (which is not difficult in the business world). If you’re doing more than the competition, the hackers may well target the weak. Will bring the Swiss fintech’s anti-fraud solutions to FIs in the Middle East.